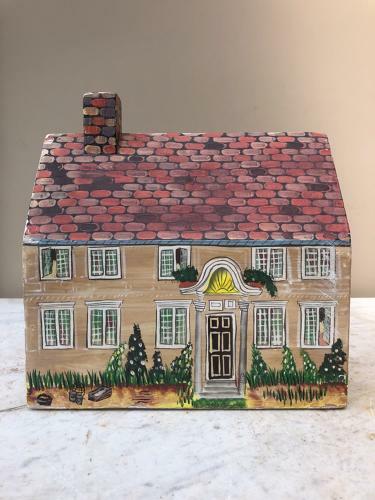 Wonderful decorative c.1940s painted wooden house money box. Slight chipping around the base...top of chimney etc.. but overall very good. Plastic stopper has been put in the base so it is very useable too.